My Wife and Kids Cast: Where Are The Actors Now? Home Showbiz and TV My Wife and Kids Cast: Where Are The Actors Now? The ABC sitcom My Wife and Kids was timely. It came at a time when there seemed to be a dearth of shows that features predominantly black family. Inspired by The Cosby Show, Damon Wayans and Don Reo joined forces to create a family-friendly sitcom which was released in 2001. One other interesting thing about the sitcom is that beside the casting not being stereotypical, it also cut across social, radical, and economic borders and remained enjoyable to diverse audiences. Good sitcoms don’t last long anyway and My Wife and Kids happened to fall into the category. After a five year run, the show seemed to have run its course and got canceled although it still airs re-runs. But while it lasted, it provided incredible messages to families from how to handle and resolve problems to effective ways to nurture and instill traditional family values. 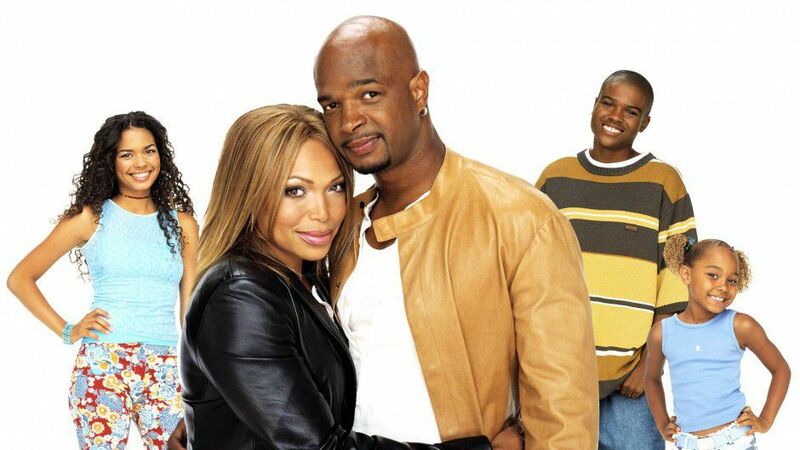 While that was the case, the cast members comprising Damon Wayans as the Kyle family patriarch and his wife, Tisha Campbell-Martin provided a complete family entertainment along with their three kids with funny and humorous moments through their comedic stylings and excellent dialogue delivery. It’s been over one decade since the Kyle family left our screen. So, let’s get to discover where they are now and what they have occupied their time with. The ABC family sitcom ran from March 28, 2001, to May 17, 2005, through five seasons, with a total of 123 episodes. Produced by Touchstone Television, it followed Michael Kyle and his semi-dysfunctional middle-class African-American family (you could probably relate with that) as he rules his household with his unique and distinct parenting style all in a bid to have a traditional family – whatever that is in his own estimation. In line with his ambition, Mr. Kyle took to teaching his three children some of life’s lessons while incorporating his special brand of humor in the process. While it is a seemingly noble desire, his homemaker wife Janet turned stock market trailblazer, gangsta rap-worshipping son Michael Jr., and brooding daughters Claire and Kady consistently found ways to keep his dream where it rightfully belongs, the dreamland. Michael Jr. would rather idolize gangster rap stars than his father while his adolescent daughter and middle child who seems to be so in tune with moodiness take a special delight in asking her father for money and giving him grief. The last child of the family serves her own hassles by way of rarely letting her dad have the last word. She always seemed to have a more important input to make and does so effortlessly. Understandably, it is not very easy for a not so modern man to live in a very modern world. But what he failed to realize all along was that after the noise died down and the chaos is over, he was perhaps actually living his dream of a traditional American family since a long time ago. 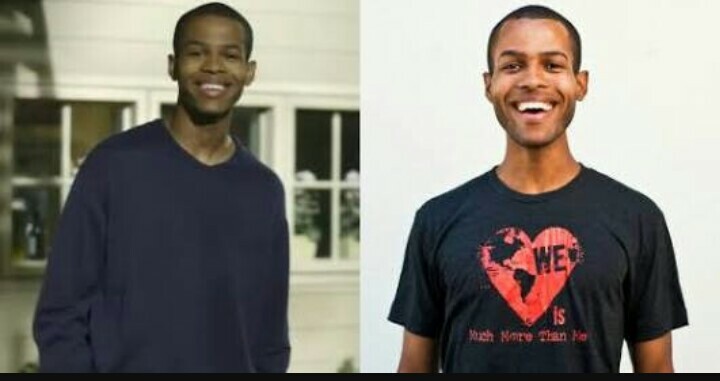 My Wife and Kids Cast: Where Are They Now? Damon Wayans was the life of the series. He portrayed the man of the Kyle household, Michael Richard Kyle Sr. The father of three children, he has been married to Janet Marie “Jay” Kyle since he was 16. Their connubial happened because he got her pregnant with their first child, Junior. He founded and developed an eponymous trucking business and often humored his audience with occasional impressions of famous people such as Bill Cosby and Don King. A member of the Wayans family of entertainers, Damon Wayans has other roles in the entertainment scene besides acting. He equals as a stand-up comedian, writer, and producer. He came to the limelight in the 90s as a star alongside Jim Carrey and writer on FOX’s sketch comedy show, In Living Color for which he received four Emmy awards nominations. Following My Wife and Kids, he has remained active and relevant in Hollywood. Wayans produced as well as performed in the Showtime sketch comedy series The Underground in 2006 and also hosted the June 2006 BET Awards. Moreover, he continued with stand up comedy but retired from the arena in December 2015. In 2011, he added author to his already colorful hat with the release of his fictional novel, Red Hats and from September 2016, he joined the cast of the television version of Lethal Weapon as Roger Murtaugh, a role originated by Danny Glover in the film series. 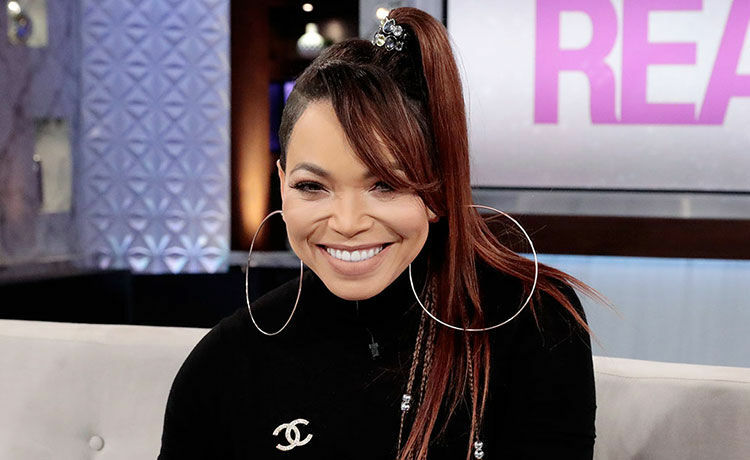 Mama Kyle better known as Jay was perfectly played by none other than Tisha Campbell-Martin. The mother of three was the voice of reason for the family and often intervened in favor of a “disadvantaged” family member, especially Junior who seemed to be always in his father’s bad book. Though the elder Kyle is always there to support Junior whenever he heeds him, he is often harsh to the young man in his bid to prep him for adulthood. Her role in the series earned her the 2003 NAACP Image Award for Outstanding Actress in a Comedy Series. The Oklahoma born, New Jersey raised actress, singer, and dancer first debuted on the screen in 1986 and since then, has continued to grow and develop her craft. My Wife and Kids was just one of the items in her cart and after the series, she continued with what she knows best. She landed a recurring role in season 4 of the period drama, Everybody Hates Chris which chronicles the troubled teenage experiences of the comedian Chris Rock following her time on the family sitcom. Tisha has acted both on the small and big screen with credits that includes House Party, Sprung, Martin, Rita Roks, The Protector, Dr. Ken, The Simone Biles Story: Courage to Soar, The Holmes Sisters, and Blindspotting. As a singer, she released her eponymous debut album, Tisha in 1992 and has since released numerous singles as well as contributed vocals for the soundtrack and appeared in several music videos. George Gore II as Michael Richard Kyle Jr. The dim-witted only son and first child of the Kyle household, Big Head Junior was acted by George Gore II. From being an underachieving student, at lost with his ascent into puberty, getting evicted from the house to misspelling and mispronouncing words such as his name (Junyor, dumb as dumbee, psychology and Hors d’œuvres as “pizzi-chology” and “Horse de ovaries” respectively), Junior does it all perfectly and of course, with a touch of humor. Moreover, his idiocy and lack of intelligence often earn him a slap at the back of his head from his parents and siblings. Despite his seeming low intelligence, he displays some savant-like characteristics which were greatly highlighted when they coordinated with ABC to develop an animated series which eventually ended up as a series of webisodes. Other than acting, Goerge is also a director and writer and has been active in the entertainment since 1991. He directed the Outbreak Monkey episode of My Wife and Kids and has also acted in other works both on the small and big screens like Law & Order, Touched by an Angel, Second Generation Wayans, and New York Undercover where his role as G earned him three NAACP Image Award nominations. The cutest and youngest child of the household, Kady Kyle has since grown into a very beautiful woman. She was portrayed by Parker McKenna Posey who started her career as a child actress and joined the cast members at the age of 6, appearing in all its episodes. She is the one child in the family who gets the least into trouble. Following the series, she returned to acting, focusing more on TV but was also open to film roles. Though, at a time she went low key, she took the opportunity to complete her high school education. She commands a following of over 1.3 million followers on Instagram and as a fashion designer, has a swimwear line, Honey Dip to her name. Parker still acts and some of her recent outings include Lucky Girl, 90 Minutes Of The Fever, and Snowfall. Claire Marie Kyle is the middle child. In the first season, Claire was portrayed by Jazz Raycole. From the second season, Jennifer Freeman took the baton and Claire went from a sweet, friendly pre-teen to an innocent, naïve young girl who behaves in a superficial and vain way, though she is never vicious nor intentionally mean. Born in LA on the 20th of October 1985, Freeman started acting in 2000 and has acted on TV, in films as well as on stage in the production of The Wiz and The Gift. Her on-screen credits include 7th Heaven, All That, Lizzie McGuire, You Got Served, Mercy Street, Real Husbands of Hollywood, The Seventies, The Visit, Tales, Disney’s Even Stevens and Disney movie Surfers. She is also a spokesmodel for the Neutrogena skin care products company. Jennifer Freeman was married to Earl Watson of NBA from 2009 until a divorce tore them apart in 2015. The duo shares a daughter, Isabella Amora Watson (b. October 1, 2009). Noah Gray-Cabey made a name for himself quite early in the entertainment industry both as an actor and a pianist. The prodigy joined My WIfe and Kids cast in a recurring role as Kady’s playmate and “boyfriend,” Franklin Aloysius Mumford in season 3 but was upped to a regular in the fourth season. He always comes in handy as Michael’s adviser in tough situations. In the series, he has a younger sister, Aretha (Jamia Simone Nash). He was born on November 16, 1995, and started playing classical pianos in venues across the nation and beyond from 1999. Noah graduated from Harvard University in 2016. He debuted on the screen in 2001 with 48 Hours as himself and has continued to be a steady presence therein. His acting credits include Heroes, Ripley’s Believe It or Not, The Tonight Show, Good Morning America, The Oprah Winfrey Show, Lady in Water, and the CBS medical drama Code Black. Meagan Good recurred as Junior’s girlfriend, Vanessa Scott in season 3 but was replaced by Brooklyn Sudano in season 4. Scott later became his baby mama in season 4 and then wife in season 5. Sudano is talented in dancing, singing, and acting and is still going strong in her career. A year after My Wife and Kids, she got married to her longtime boyfriend Mike McGlaflin on October 8, 2006. From season 2, Andrew McFarlane portrayed Claire’s religious and devoted boyfriend, Tony Jeffers. He also doubled as Roger, another boy with a crush on Claire. McFarlane is a former model and appeared in other TV shows after My Wife and Kids including The Secret Life of the American Teenager, the 2009 parody film Dance Flick and Just Peck before leaving Tinseltown in 2011. Other actors that added spice and humor to the family sitcom though in recurring capacity are Ella Joyce and Lester Speight as Jasmine and Calvin Scott, Vanessa Scott’s parents, Phil Reeves as Jay and Michael’s couple therapist, Dr. William Parks Klieger, Liliana Mumy as one of Kady’s classmates and best friend, Rachel McNamara, and Junior’s silly best friend, John was played by Damon Wayans Jr. Others include Michael’s employees: R.J. (DeRay Davis), Brian (Brian Holtzman), and Todd (Todd Lynn).